Although winter is already here in Montana, I am still holding onto fall. I could eat winter squash and pumpkin year-round but this time of year these ingredients particularly shine. 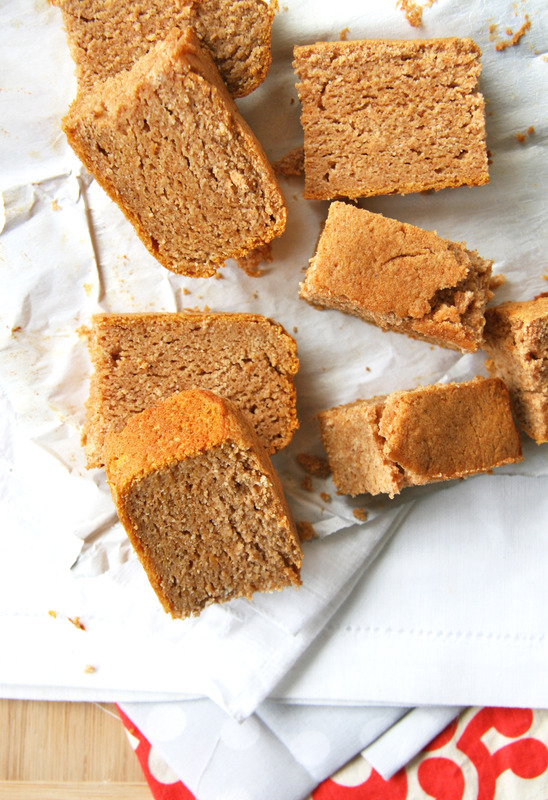 This quick bread with warm autumn spices is another way of holding onto my favorite season. 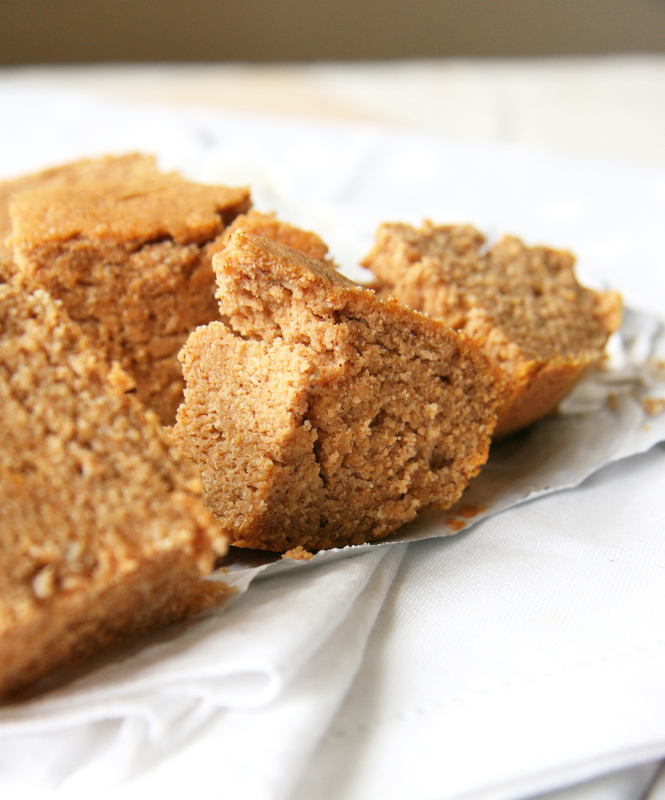 This bread can be a quick breakfast on the go, a sweet snack when you need a pick-me-up or part of a dessert. I’ve enjoyed slices straight from the fridge but have experimented with the following serving options to mix it up! I’ve also substituted the butternut squash puree for leftover mashed yams and pumpkin puree with success! I’ve made variations of this bread a couple times already this year…it gets eaten too quickly for me to snap photos…I finally kept my hands off to take a shot (after 1/3 of the loaf was already gone…oops!). Heat your oven to 350F and line a loaf pan with parchment paper or grease well. In a small bowl, whisk the dry ingredients together and set aside. In a medium size bowl, whisk the eggs well. Add remaining liquid ingredients (vanilla though puree) and whisk until well combined. Add the dry ingredients to the wet ingredients and mix until smooth (the batter will be thick and thicken as it sits due to the highly absorbent coconut flour). Spoon the batter into your prepared pan. Bake for 40-45 minutes or until a knife going into the center comes out clean. Remove pan from oven to let cool, then slice and enjoy!